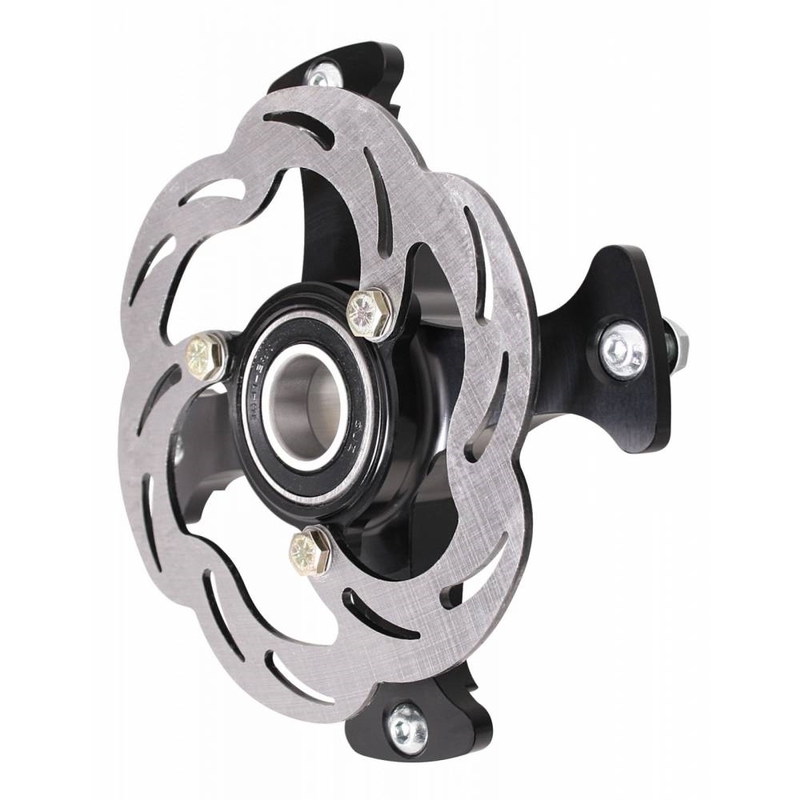 JOES Micro Sprint Front Hubs are thick where you need it and thin where you don’t for a strong yet lightweight hub package. JOES hubs are precision machined to run true. Anodized black and laser etched JOES logos for a clean look on your Micro. 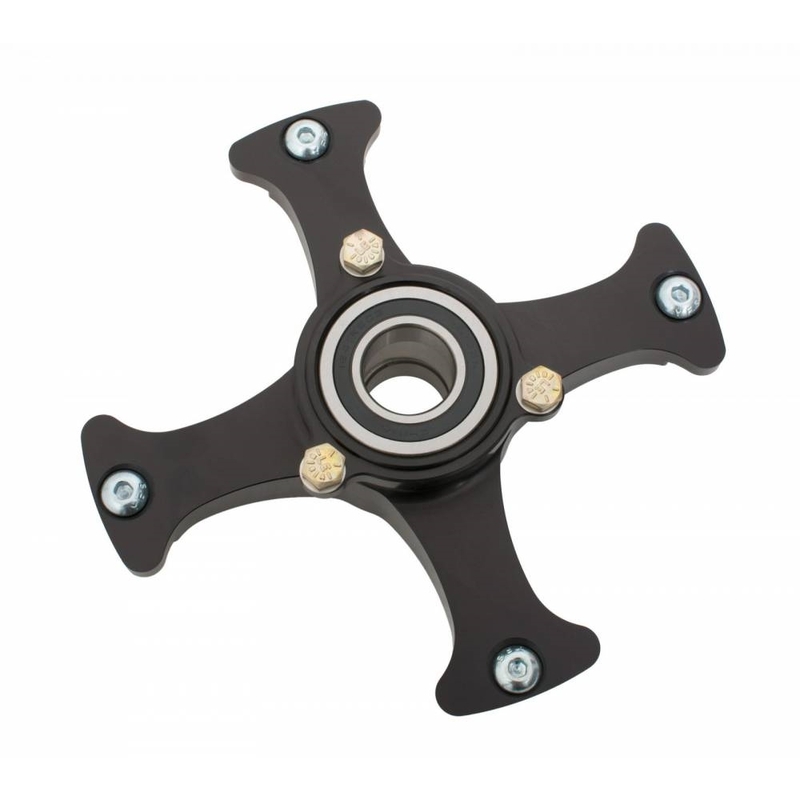 Both hubs include rotor flanges to locate your rotor perfectly (rotor not included). 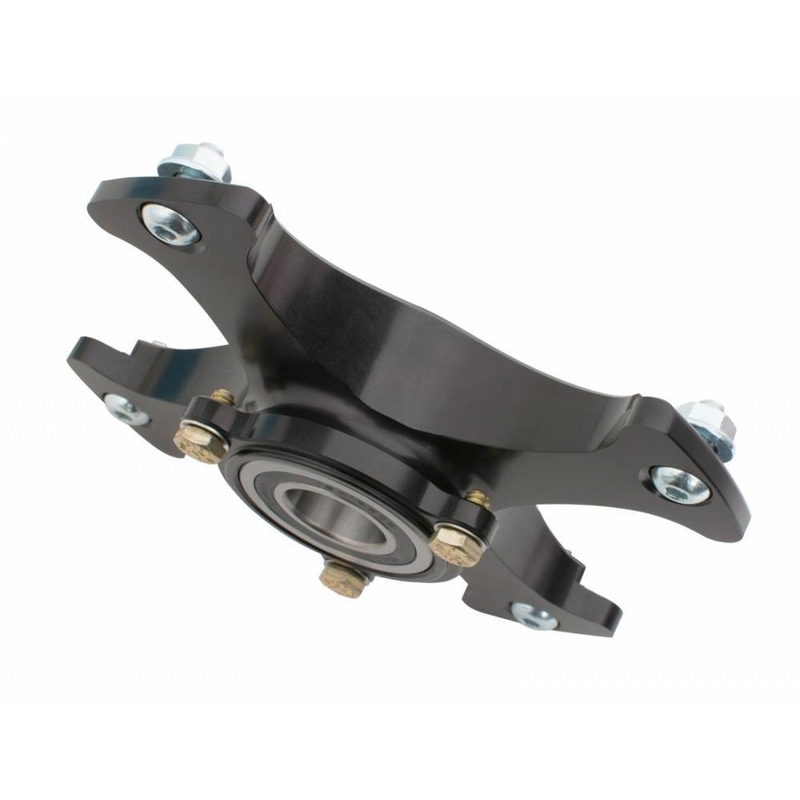 The sealed bearing design is maintenance free. 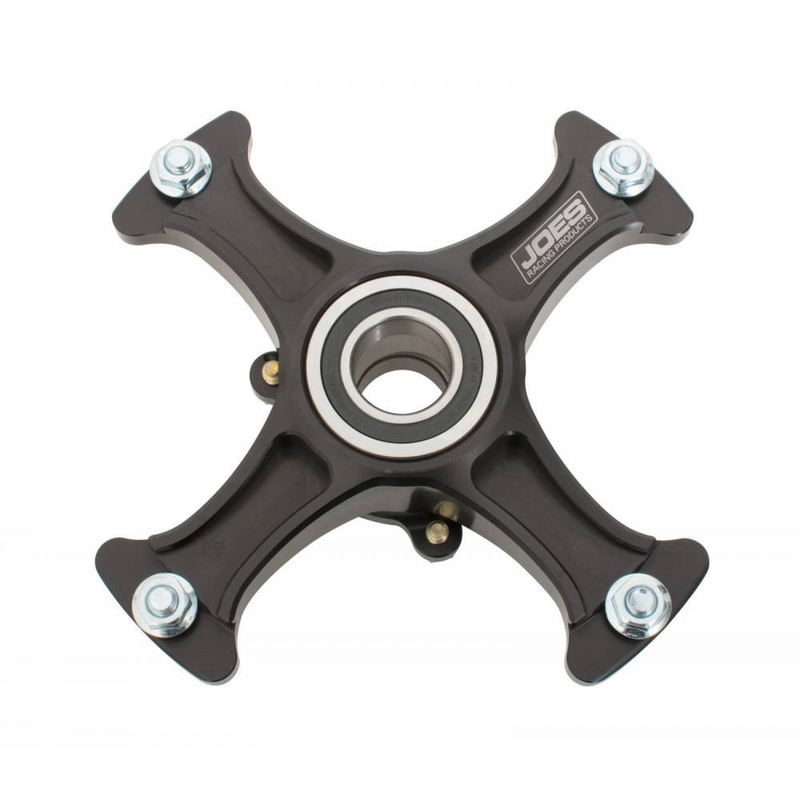 The tapered bearing design spreads out the load includes a billet cap to seal out dirt. 1″ bearing ID with a 5/16 on 6-3/4 DIA. bolt pattern.